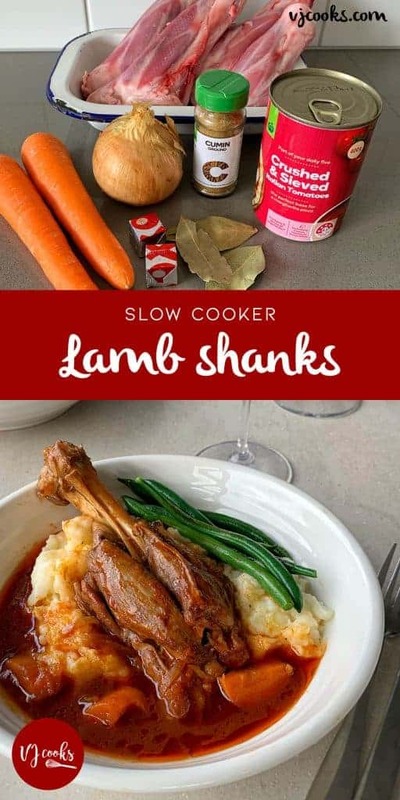 This is my go-to recipe for lamb shanks in the slow cooker, it is so easy and the meat comes out perfect every time. 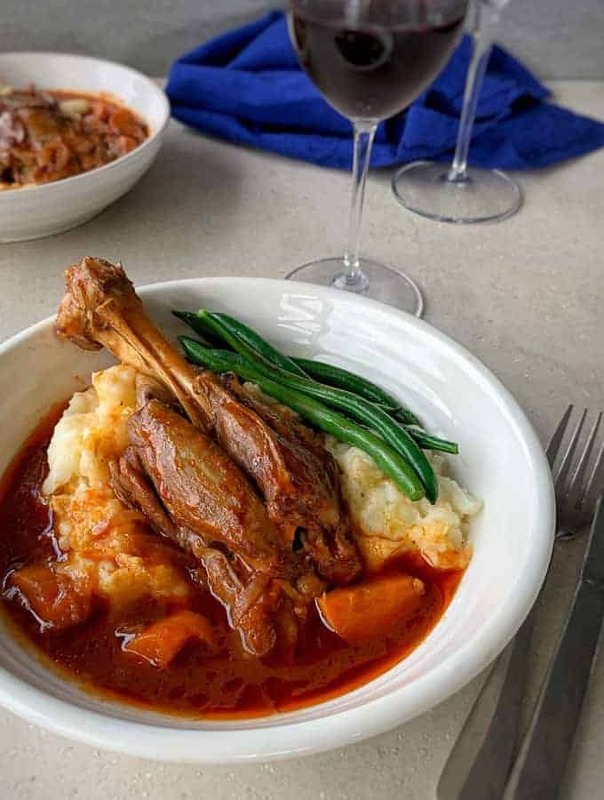 You can’t beat a delicious meal of slow cooked lamb shanks. 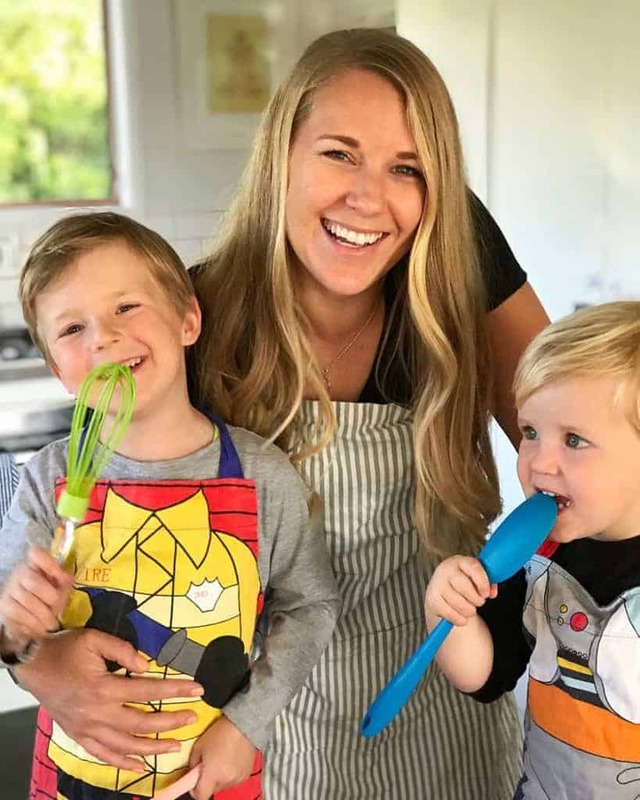 This recipe is so easy that anyone can make it, you just throw all of the ingredients in the Slow Cooker in the morning and then that night they will be perfect. I have used carrots and onion in my version but you can add other vegetables if you have them on hand. To make this tasty dish simply add the onion, carrot, tomatoes, stock, cumin and bay leaves to a slow cooker or crock pot. Make a cut at the top of the shank, this helps the meat bunch up while cooking, then add them in with the rest of the ingredients. I don’t bother browning my shanks as I think if they are cooked until the meat is falling off the bone you can’t tell the difference. I like to serve my lamb shanks on mashed potato but they would also taste great with jacket potatoes, cauliflower rice or polenta. Serve them with seasonal green vegetables to bulk up the veggie factor. 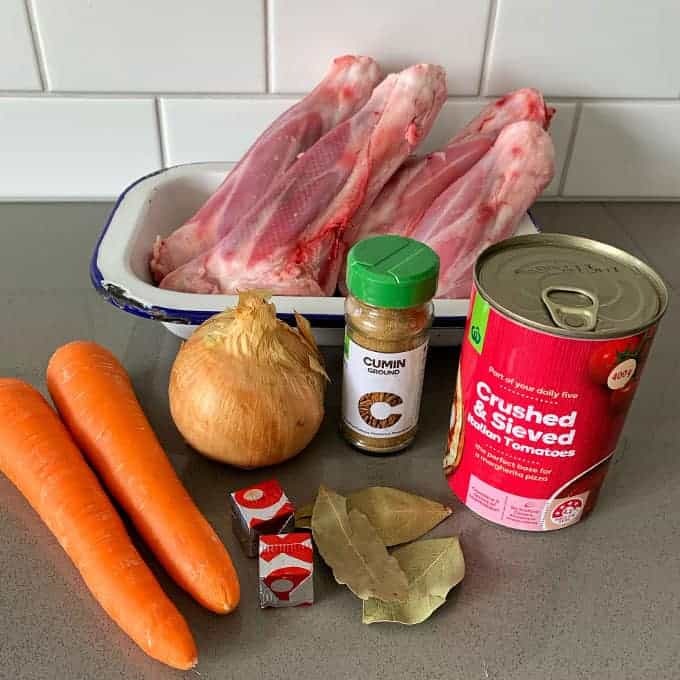 This is my super simple recipe for lamb shanks in the slow cooker, its so easy and they always come out melt in your mouth perfect. 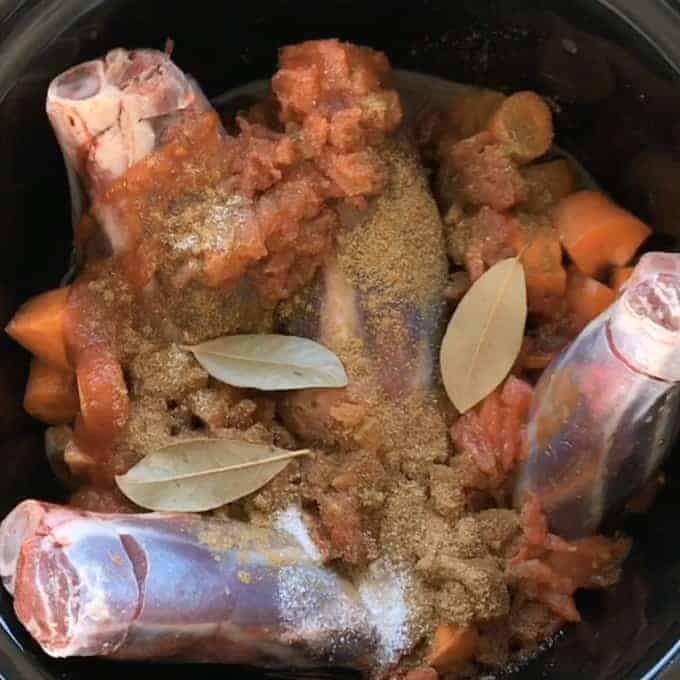 Cut lamb shanks around the bone end so that the meat bunches up while cooking. Add onion, shanks, carrots, canned tomatoes, beef stock, cumin, salt, bay leaves and water to the slow cooker and mix to combine. Make sure bones are sticking up and put on the lid. Cook for 4 hours on high or up to 8 hours on low. Mix cornflour with a little cold water and pour in 20 mins before serving to thicken up liquid. Serve on mash or with sides of your choice.